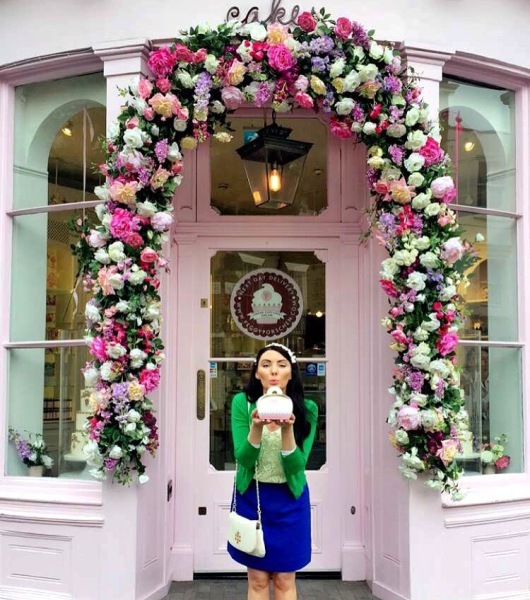 To me, Valentine’s Day is all about sweets! It’s easy to want to bake when it involves heart shapes, sparkly sprinkles, and pink frosting! 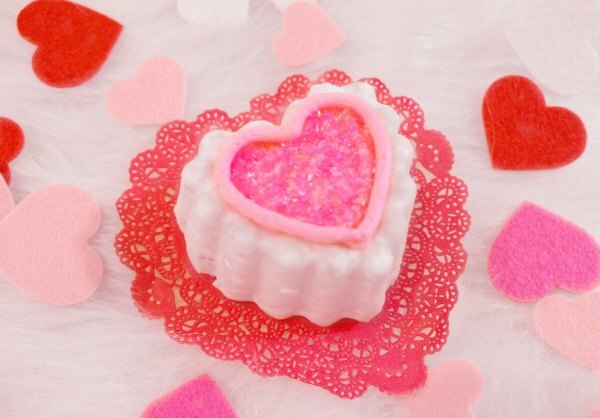 Food is a fabulous way to your loved one’s hearts and I decided to share with you these heart shaped mini cakes, perfect for Valentine’s Day! 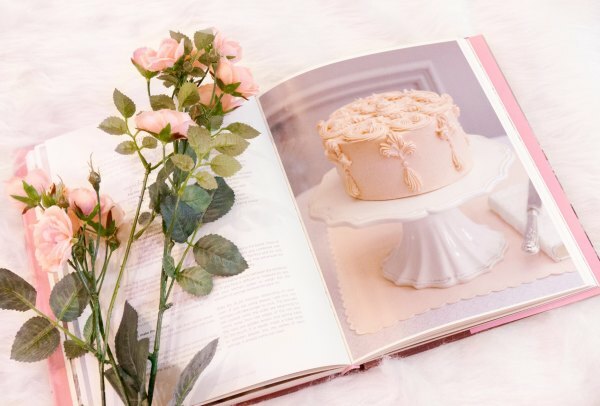 The ruffled cake molds from Wilton made these fancy looking cakes a breeze. 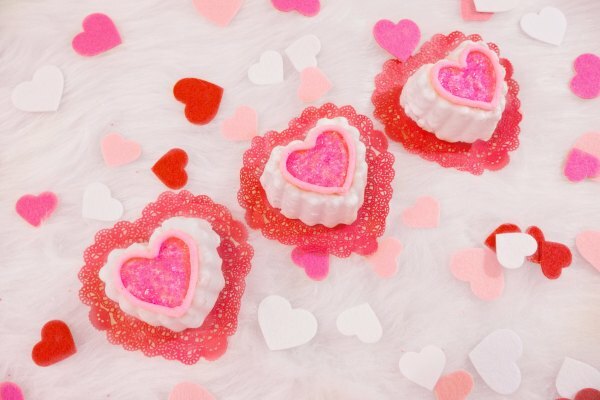 So whether your making these for your sweetie or for a Galentine’s Day treat, these are sure to impress! Oh and I should mention that I glazed these with rose water infused icing, isn’t that just perfect for this time of year?! 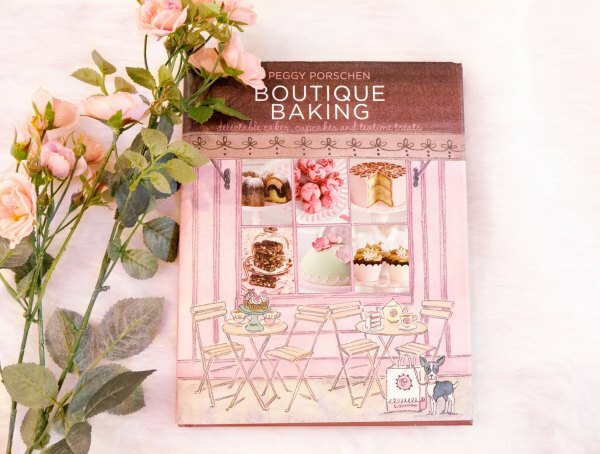 To make these mini heart cakes, I used a recipe for Peggy Porschen’s Glorious Victorious Cake from her Boutique Baking cookbook. 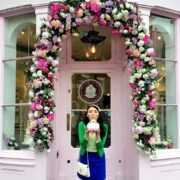 When my husband and I were in London this past Summer, we stopped into the darling pink Peggy Porschen parlor to cure my never ending sweet tooth. We sat down and I ordered a few slices of cake, #noshame , including the Glorious Victoria Cake. It basically tasted like a heaven! 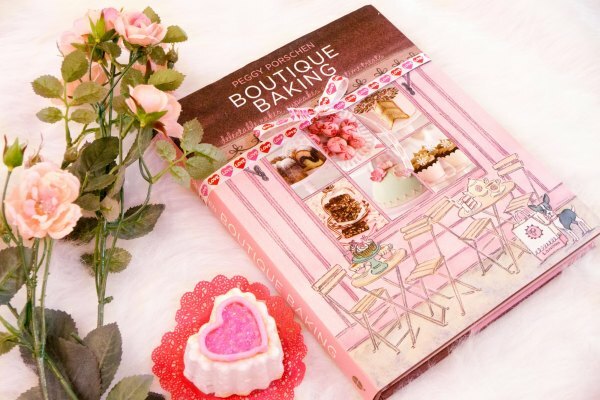 I knew I had to have to the recipe and bought the book online as soon as we got back home! *I filled the cakes with a dark chocolate ganache instead of raspberry jam. I did this by filling an icing bag with the ganache and a round tip. Put the the tip through the bottom of the cake and lightly squeeze for about two seconds. Voila!